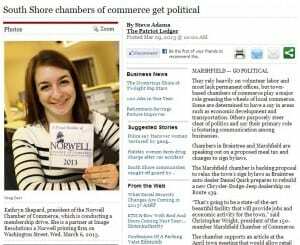 Kathryn Shepard, president of the Norwell Chamber of Commerce, said the organization concentrates on networking with at least one after-hours event held monthly. It also sponsors events such as the Taste of Norwell each fall to introduce local businesses to the public. The group has approximately 100 members. To beef up the ranks, the organization is sending out a mailing this week attempting to recruit 500 businesses as new members and offering $20 off the regular $80 annual membership fee. 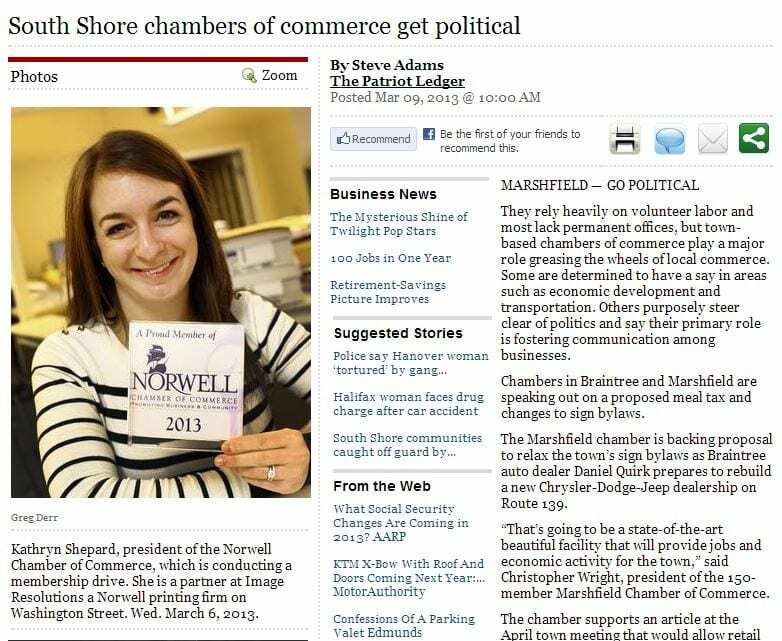 The organization meets monthly for networking events and sponsors events such as the Taste of Norwell every fall. It scheduled at least one monthly networking activity for all members, Shepard said. The annual fee also includes membership in the Brockton-based MetroSouth Chamber of Commerce.